Whimsy by Shellye: Love My Tapes + Peaceful! Love My Tapes + Peaceful! Yes, Thursday was a busy day! that it turned out to be quite lovely! and then trimmed the ends with pinking sheers. covered a chipboard bird (page 3) in the blue washi tape. borders of washi on page 7. Details 12x12 stickers; Elements 12x8 stickers. come on over! Our November Sketch Challenge has been posted today too. What a sweet album!!! Loving how you used pinking shears on the washi flags!! WOWZERS....this is just gorgeous! I absolutely love everything about it! The papers and cuts are perfect! So pretty...your work always blows me away! Happy Sunday! What a gorgeous mini Shellye! 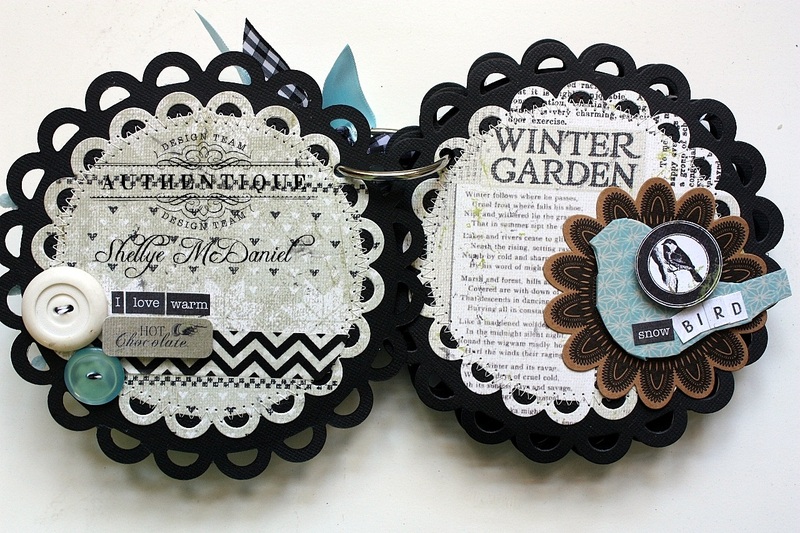 I love how you used the blue washi tape with this collection as a wonderful accent color!! !